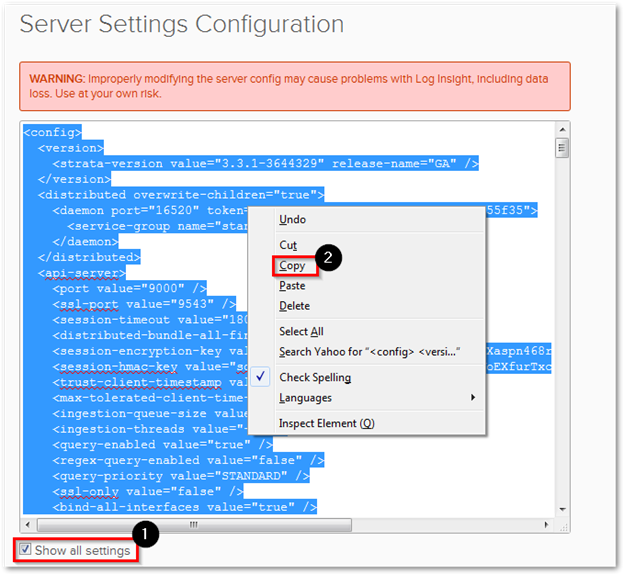 The following guide will show you how to manually backup all the advance configurations in Log Insight (e.g. IPs, DNS, Forwarding Rules, NTP) and custom work done such as Agent Groups, Dashboards, Alerts, etc. 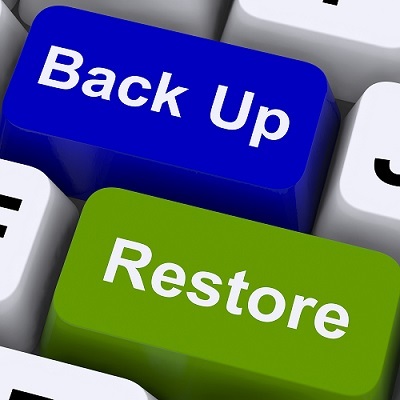 For full appliance backups, third party backup tools should still be used. 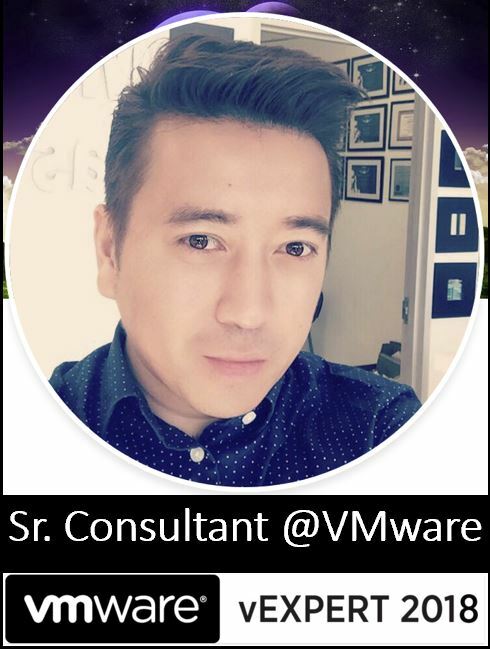 Special thanks to VMware coworkers Steve Flanders, Yogita Patil, and Alan Castonguay for the advice when putting this together. 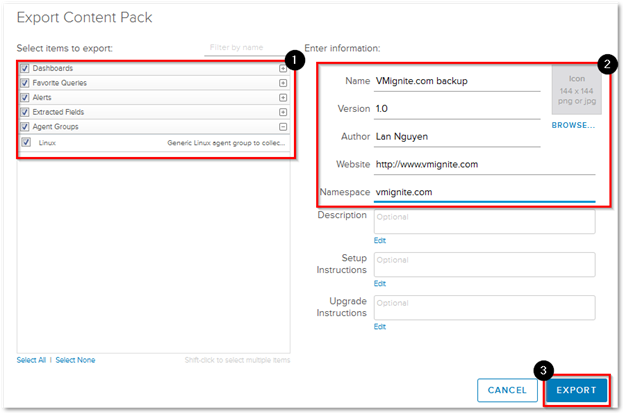 The following guide will backup Log Insight 3.0 and above. 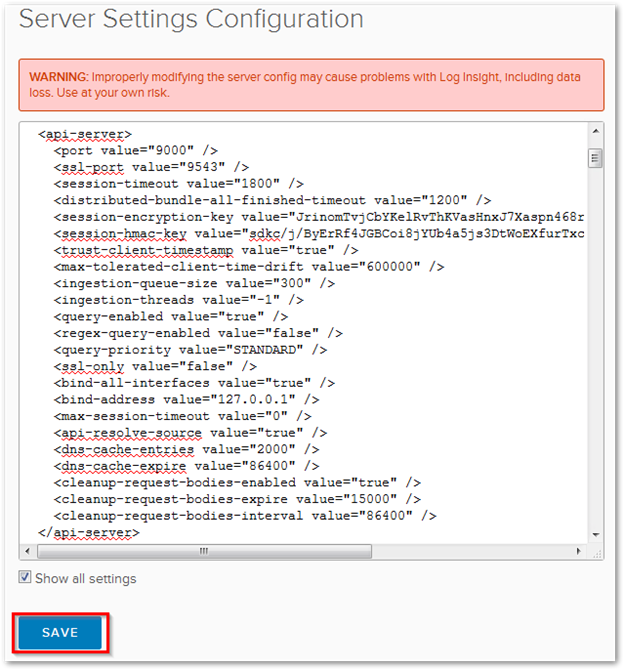 Making changes to the configuration files directly from the appliance console is not officially supported beginning in vRealize Log Insight 3.0. 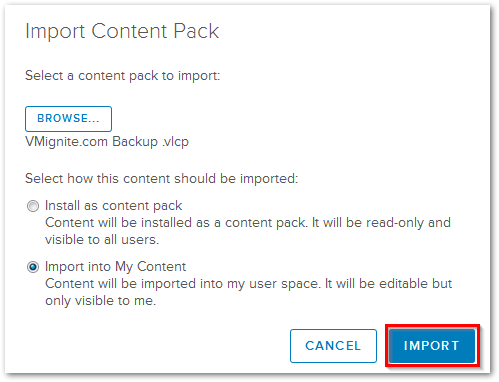 You will need to use the built-in UI (see steps below). 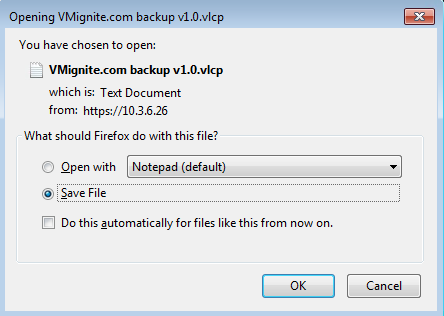 Open Notepad and paste everything into Notepad. Save the settings. 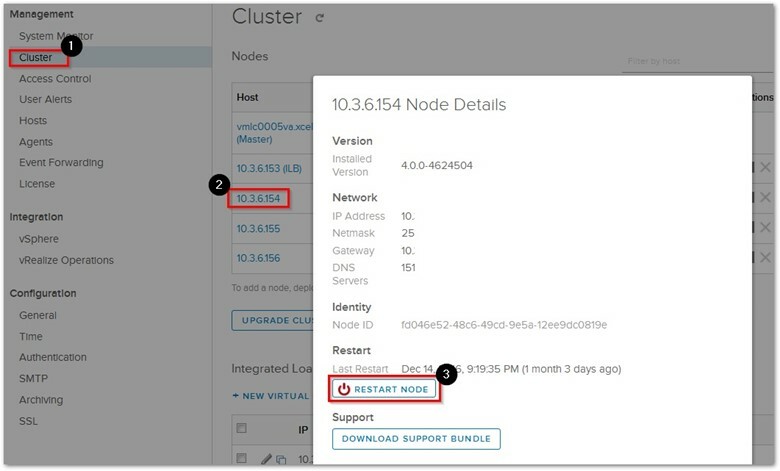 In a clustered environment, all the settings copied from the UI is identical and is replicated between all nodes therefore you will only need to make only one backup copy per a Log Insight cluster. You will only need to repeat these steps only if you have multiple Log Insight clusters. 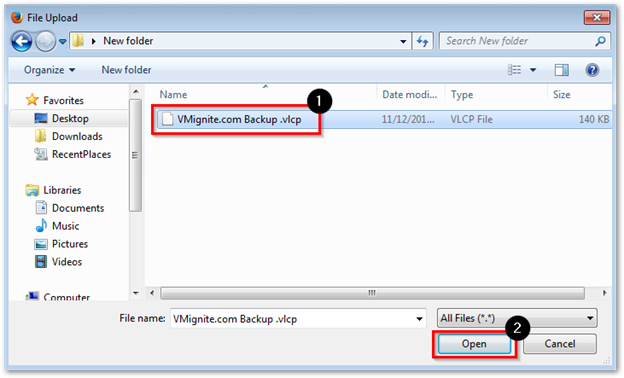 If it recommended to have a clean snapshot and a full backup before you do the following steps. Also a restart may be required after restoring settings. 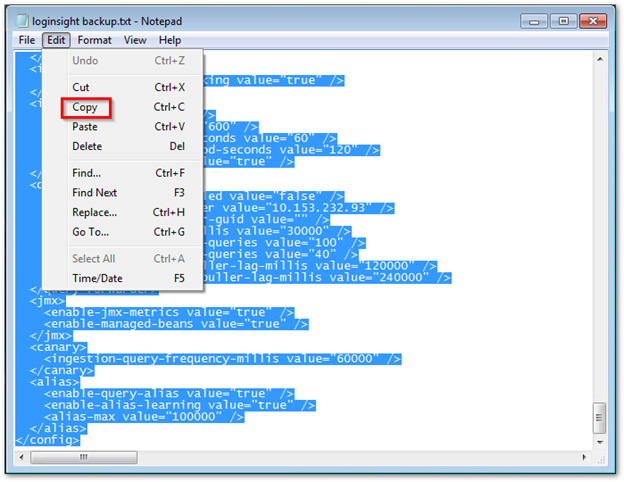 Note: If you are copying these settings to a new cluster, the new cluster probably won’t have the keys to decrypt them. 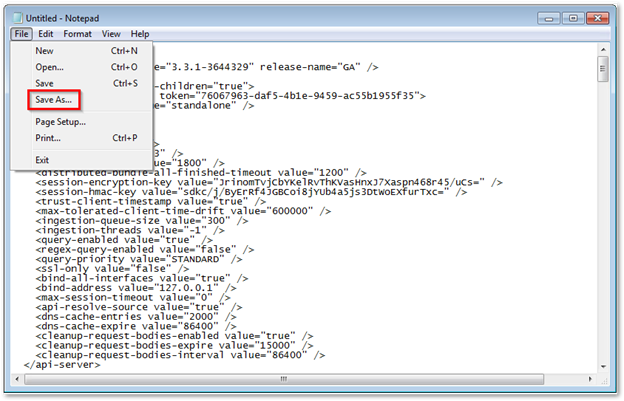 You can use the normal UI (or API) to manually set the password for Active Directory and SMTP binding. 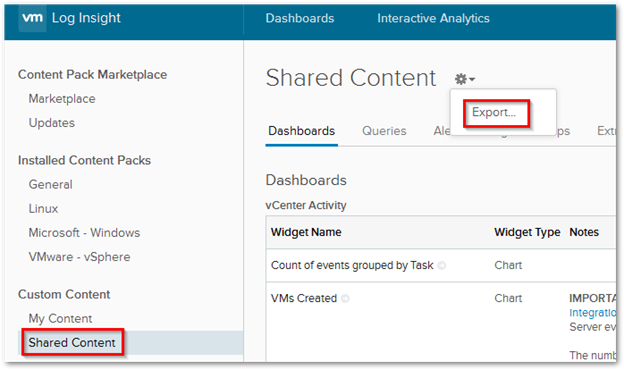 Select the Dashboards, Queries, Alerts, Extracted Fields, Agent Groups that you want to export then fill out the information on the right side and click on Export when you are done.